There was complete silence in my classroom. All eyes were on me. The look of disappointment on the faces of the students was heartbreaking. As a teacher, I had promised my adorable, well-behaved students a Christmas party. The children decided who would bring the treats, paper plates, cups, napkins, and pop and I promised to bring a treat for everyone. To distract the students from the principal’s disappointing announcement, I prepared a week of activity-driven lessons on probability. The first lesson was predicting the probability of getting heads when tossing a coin 200 times. The other lessons included tossing two die and using a spinner, but my favorite lesson was the last one. 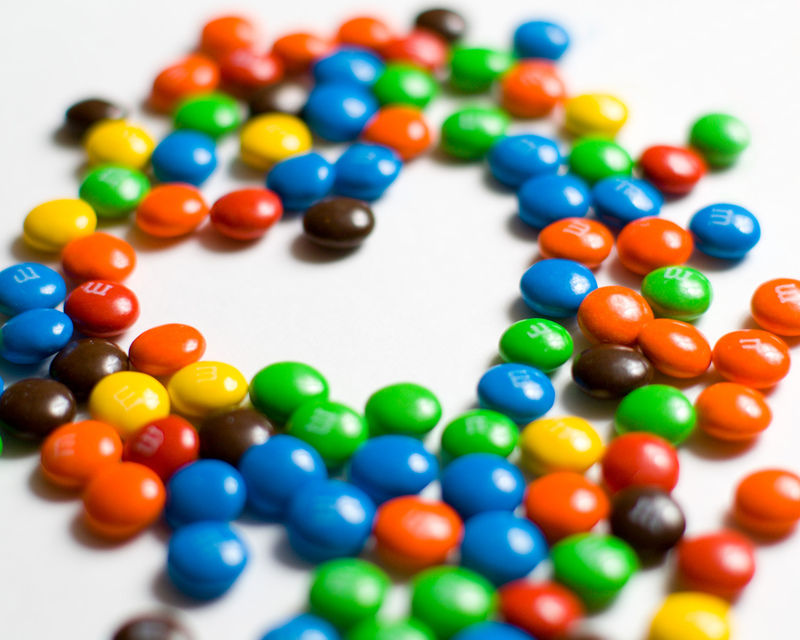 Reading about the 75th anniversary of M & M’s® this month reminded me of that day as well as other times with that tasty, colorful, popular chocolate treat. As a child, I chose that as my favorite candy. As a teacher, I used M & M’s® to help children with their colors. And passing out M & M’s® at Halloween never gets old. I collected the empty candy bags to confirm that I didn’t want the candy back. The students’ happy smiles were well worth my effort. Aw! How sweet and clever! Way to go, Barbara! Thanks, Sue. It was my pleasure. M&Ms are synonymous with parties. Great idea, Barbara! Yes, they are. Thanks, Kelly. M&Ms with peanuts are my favorite! Phil, I love those also. Have you heard about the new flavors that the company is discussing? I’m not sure if they are experimenting with the idea or actually producing them. But why mess with a good thing. You would have been my favorite teacher! I bet all of your students remember the M&M assignment. Karen, I enjoyed thumbing my nose at the principal. It wasn’t my only time breaking silly rules, and my students were worth it. Cute story…I found myself forming a picture in my mind as I read it. Thank you, Yibbity. Did your picture include you enjoying your own bag of M&Ms?